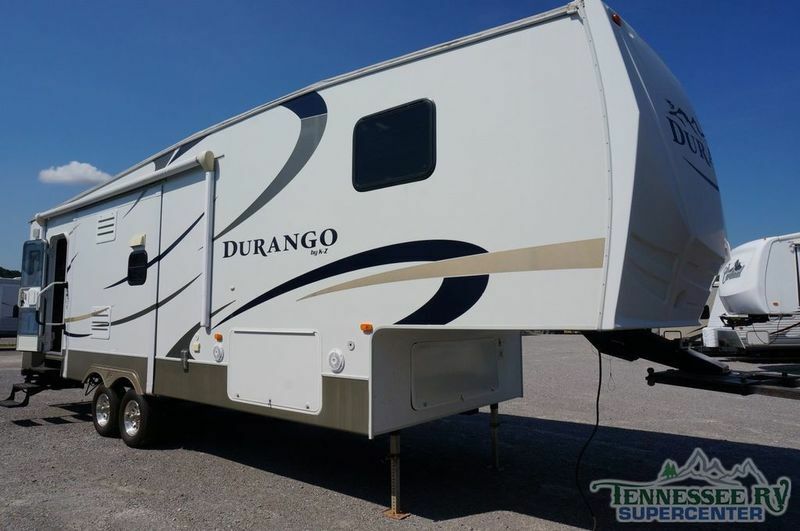 Looking for a pre-owned family friendly fifth wheel Look no further than this 2011 KZ Durango 305BH we just took in on trade! 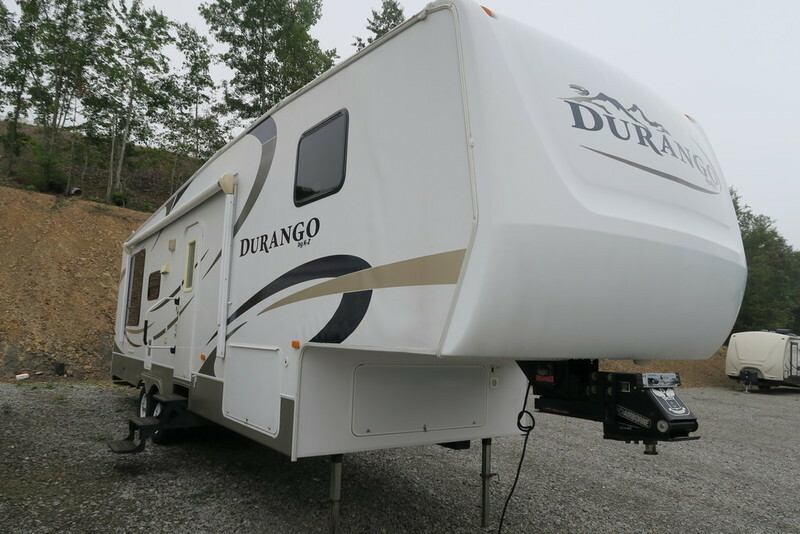 With 2 slide outs, a master bedroom in the rear and bunks in the front you and the family will have plenty of room! 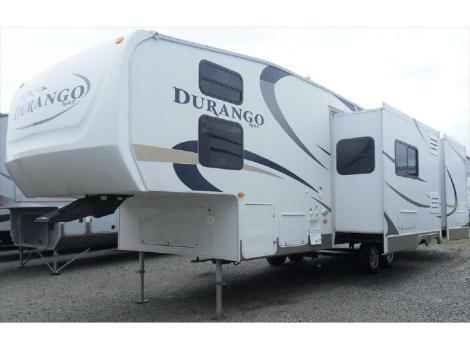 2010 K-Z Durango D305BH, Do you have children? 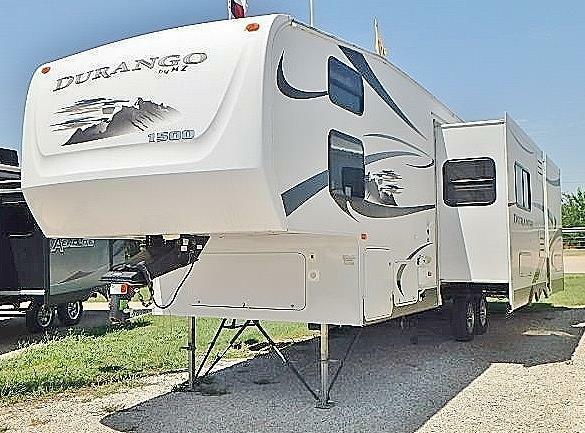 Then do we have the perfect camper for you. 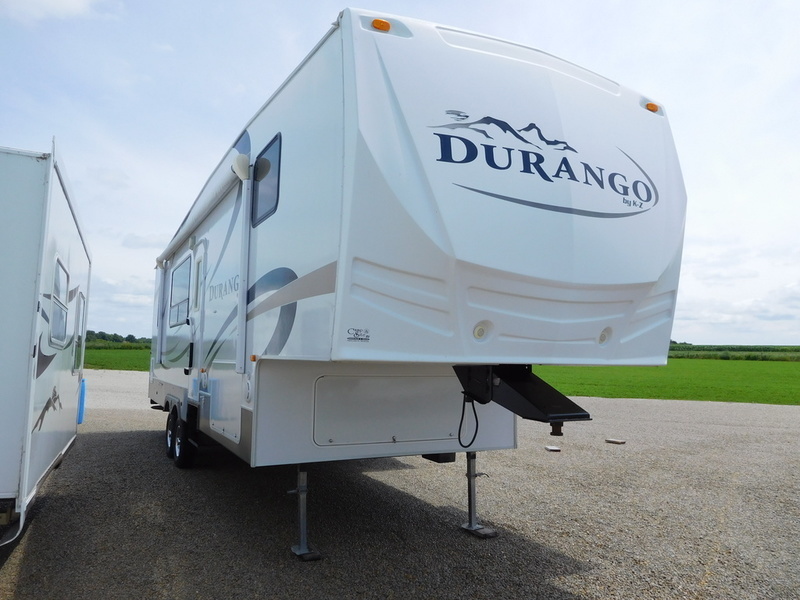 Come check out this fascinating 2010 KZ Durango 305BH fifth wheel! 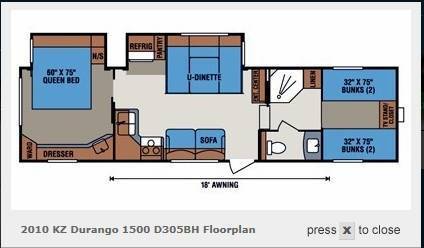 In this splendid RV, the U-shaped dinette is sure to catch your eye from the beautiful fabric to the glorious overhead cabinetry and lighting. Enjoy the standard LCD TV and the AM/FM/CD stereo with interior and exterior speakers. The refrigerator/freezer with the adjacent pantry keeps your food and provisions fresh and easily accessible. Spacious with plenty of storage and drawers, this kitchen has gracious raised panel cabinet doors, high rise faucet, and dual bowl sink. All of these combine marvelously to make meal preparation easy. Also complementing the living area is the sofa that turns into a jack knife bed which is great for surprise guests. Moving into the front of the 5th wheel is the bunkhouse that is a great kids room. With four bunks and a central storage cabinet, the kids will enjoy their personal space and have room for all of their stuff too. This model comes with a private lavatory that has decorative lighting above the large wall mirror. Lastly, The master bedroom is plenty spacious with both overhead cabinetry and a dresser with side wardrobe that fits all your needs. Don&apos;t miss out on your chance to own this! 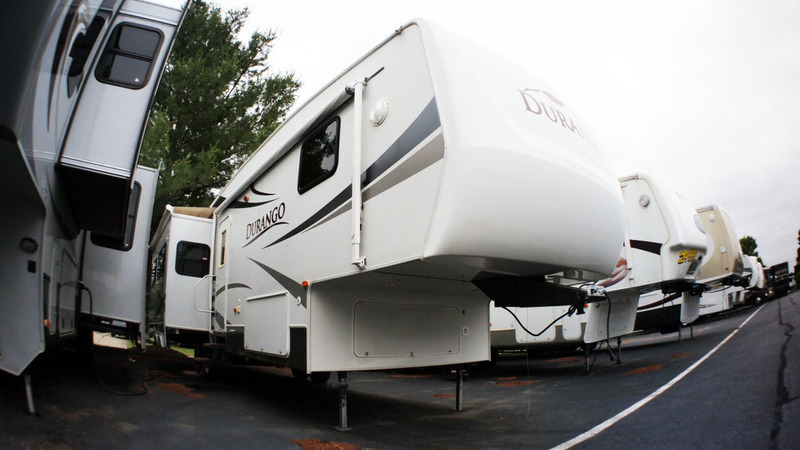 Call or come see us today at Sherman RV Center!